Set of 2 - Ladies Pashmina Scarves Only $9.99 Plus FREE Shipping! You are here: Home / Great Deals / Set of 2 – Ladies Pashmina Scarves Only $9.99 Plus FREE Shipping! Set of 2 – Ladies Pashmina Scarves Only $9.99 Plus FREE Shipping! 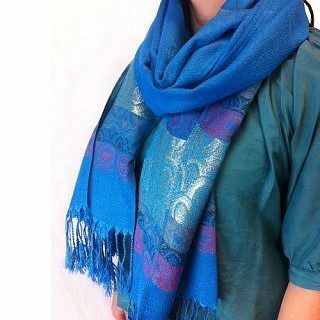 A fashionable pashmina scarf, wrap or shawl is the perfect finishing touch to almost any outfit! This beautiful Set of 2 – Ladies Pashmina Scarves Only $9.99 Plus FREE Shipping will wrap you in warmth and accent any outfit!